Join us for a fun, irreverent celebration of books, writers, readers, and the freedom to read whatever we please! 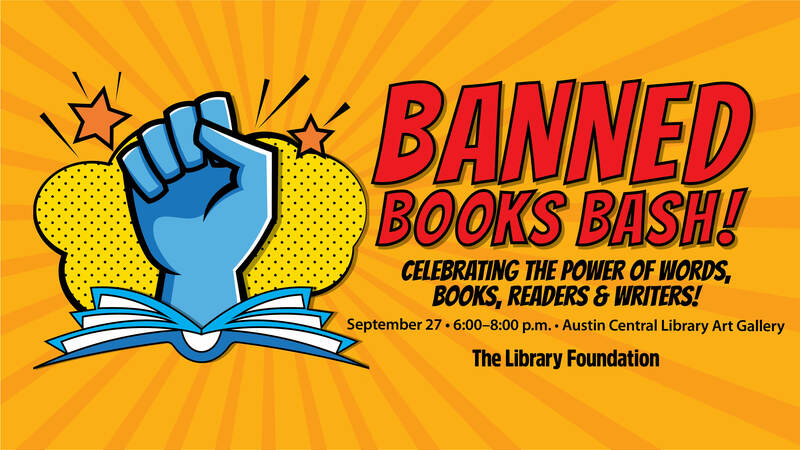 The Library Foundation's Banned Books Bash coincides with National Banned Books Week, launched in 1982 in response to a surge in the number of challenges to books in schools, bookstores, and libraries. This year's Bash features readers from community organizations, such as Austin Recovery, Black Lives Matter, Carrying Hope, Girls Empowerment Network, Planned Parenthood, ACLU, and others. Featured books include The Awakening, The Hate U Give, The Hunger Games, Slaughterhouse Five, It's Perfectly Normal, and more.